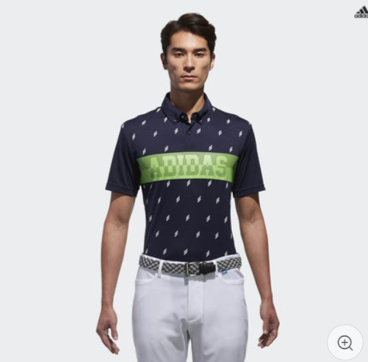 The fashion market is moving at great speed, and consumers expect to see new adidas polo designs as frequently as every month. Each design is usually stocked in limited quantities, sold out quickly and designs are refreshed frequently. 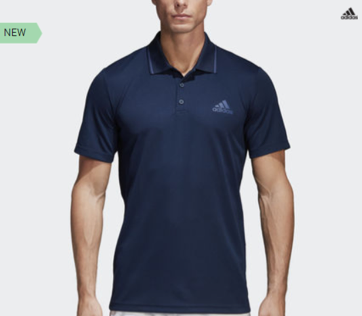 Instead of determining which the most popular adidas polo tee design is, it may be worthwhile instead to look at popular characteristics of the adidas polo tee range. Plackets refer to the rectangular area where buttons are placed. Traditionally, there are usually 3 buttons on plackets, but it has become increasingly common to see 2, 3 or 4 buttons on plackets. 2 buttons on plackets is the most unusual and gives a casual vibe, while 4 buttons on placates has the most professional, groomed look. A newer type of placket is the concealed placket, where the buttons are hidden between 2 layers of plackets for a neat look. Choosing the number of buttons on plackets in a personal choice. 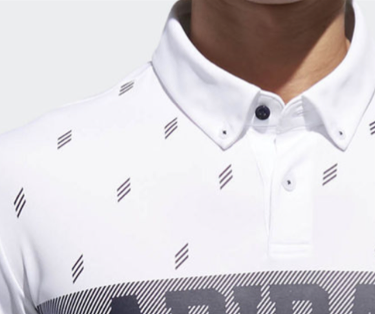 The vast majority of retail adidas designs is still featuring 3 buttons on plackets. 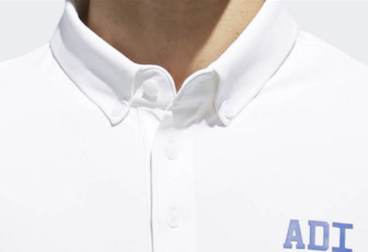 For corporate adidas polo, 4 buttons on plackets is the popular choice for a neater, more professional look. There are various kinds of polo tee collars. Popular collars types are self-fabric collars, meaning that the collar is made from the same fabric as the polo tees. Other types of collars include ribbed polyester collars, or ribbed knitted collars. One of the most popular collar design nowadays is the button down collar. 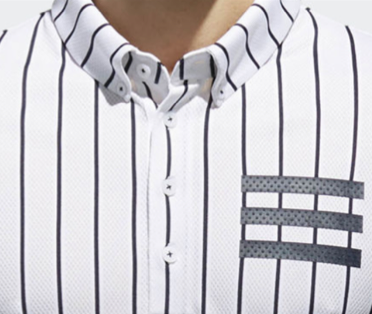 The tip of each collar is buttoned down to the front of the shirt so that it will stay in place neatly. 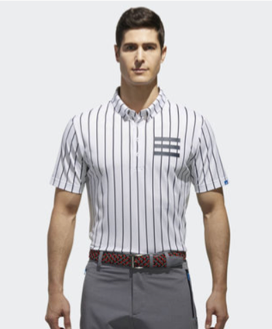 This feature is especially common amongst golf polos, or corporate adidas polo tees. Traditionally, polo tees comes in regular/loose fit. 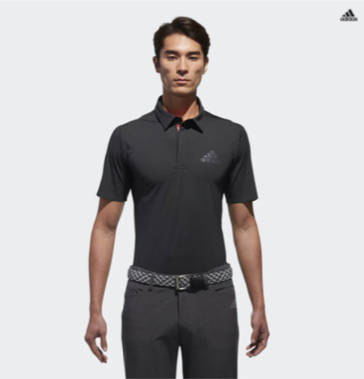 Today when we do a quick search on adidas.com.sg, we can see that adidas in Singapore comes in a range of fits, from loose fit to Asian loose fit to slim arms but loose on the body. Polo tees are meant to be comfortable and worn to work, to casual settings and to golfing. For Asians, the most popular fit is usually Asian loose fit, as it is more forgiving on the body type. If you have a sculpted body, a slim fit will be perfect. Fabric For sportswear brands like adidas, the most common fabric will be Climalite or Climacool, which is moisture wicking polyester to keep the wearer dry and clean after sweating. Fabric blend of cotton and polyester is also common. The Essentials classic polo shirt is made of a blend of 70% cotton and 30% recycled polyester as part of adidas sustainable product program. Recycled polyester saves resources and decreases emissions. Generally, popular fabric will be Climalite or Climacool, the lighter it is, the better for breathability and to keep cool. 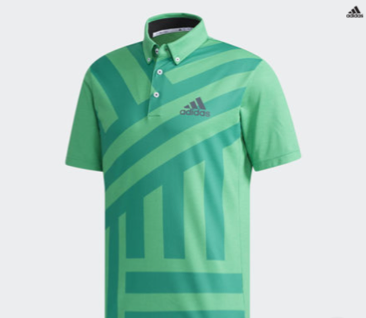 There are so many colours and prints for adidas polo tees that you would be hard pressed to choose a favourite. Recent looks includes white with blue blocks, mustard yellow, orange with black stripes, pinstripes, as well as very loud prints on patterned background. 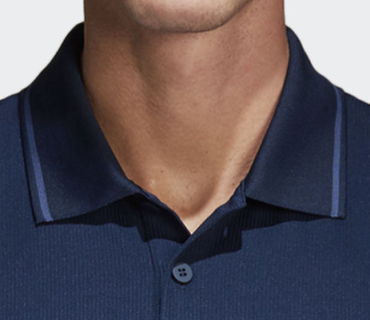 As a long time corporate distributor of adidas corporate polo tees, we know that the popular colours amongst men are still the solid colours that flatters most, like Navy blue, black and white. Patterned prints are harder to pull off and require a more sophisticated fashion palette to look good. Buying a polo tee is a highly personal choice. If you are a fashionista and a frequent shopper with good taste, feel free to splurge on all the latest designs and styles. If you are looking for a classic piece to last for a long time, we recommend safe colours and classic design that will flatter you. For corporate purchase of adidas polo tees, we have the solution for you. We’ve worked with many MNCs and SMEs and know the style of polo tees that will look best on most body types. For a fuss free, excellent experience, please contact us at +65 63520988 or send us a message below.